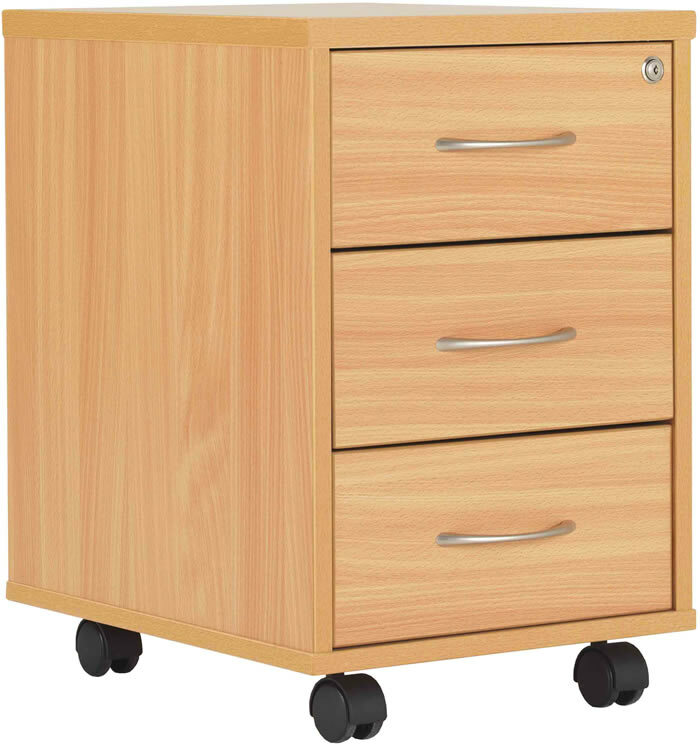 The TC Office Start 3 drawer deluxe mobile pedestal in a beech finish features a 25mm thick unit top, 2mm edge banding, chrome handles and lockable storage. For easy moving around the office the Start mobile pedestal has four double wheels. For secure storage the top drawer is lockable and is supplied with a set of 2 keys. Designed for daily office use the deluxe Start 3 drawer mobile pedestal comes with a 5 year manufacturers guarantee for peace of mind.